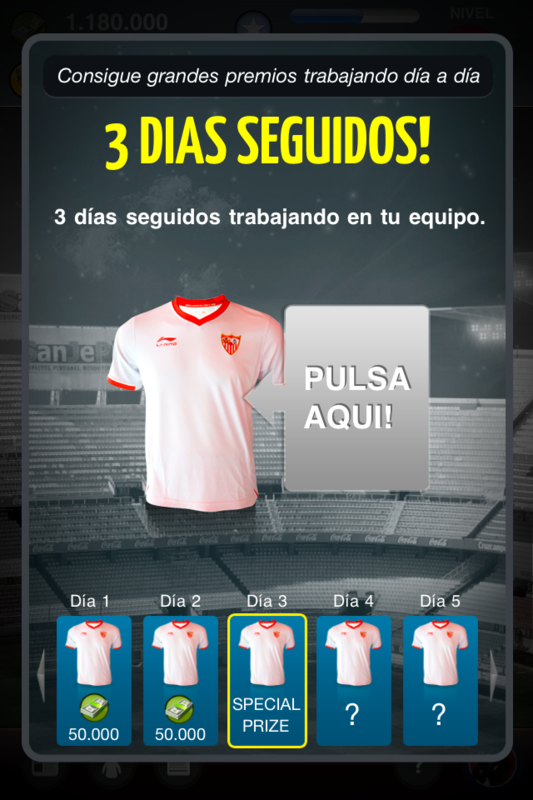 Sevilla FC, launch the game of your dreams, be the best coach, the general manger of the Club of your life. A game that combine the classic features of the Manager with the real Fantasy component. And with the real official contents of Sevilla FC. Left back or center back? Should we extend our sport centre? 5 defenders or more strickers? Should we give a press conference? Two midfielders or one? Should we sign up any other player? - Select the game system and the line up for your matches. 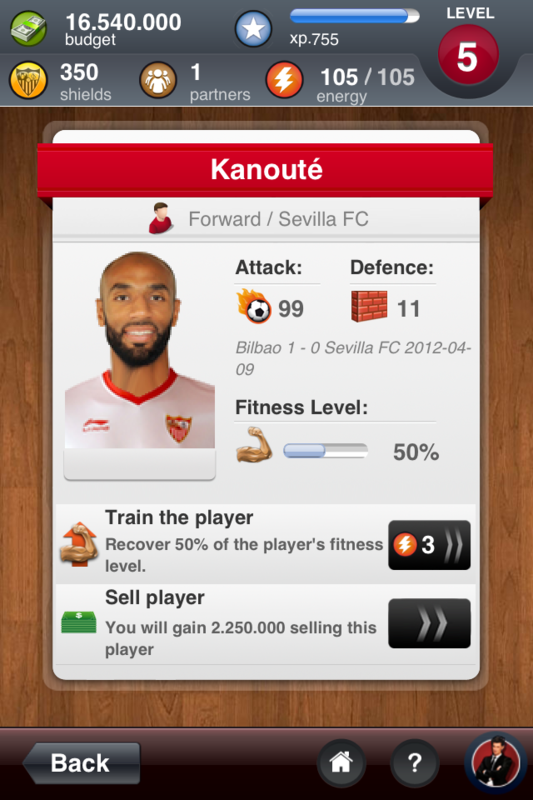 - Play matches against your friends and rivals of other clubs. 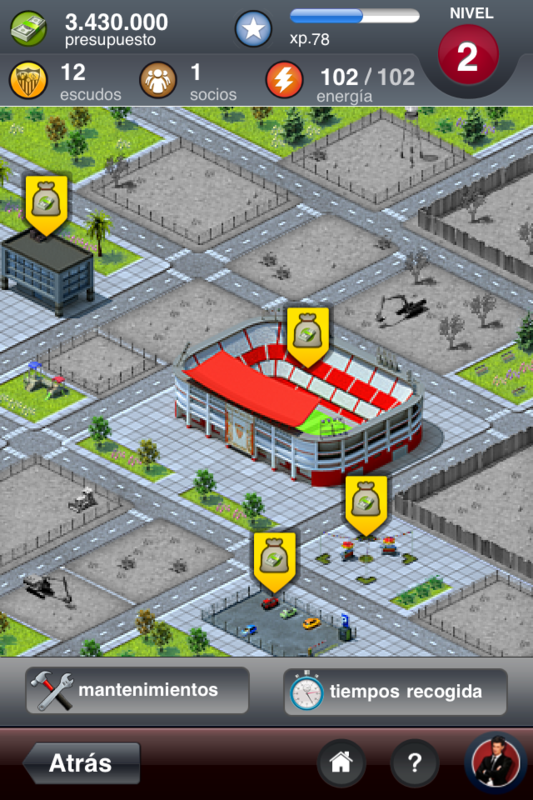 - Manage the Marketing area of the club and improve your sport centre. Remember that your skills as coach and general manger and the real performance of your players will be important to achieve the glory in the club of your dreams. Do you want to lose it? SHIELDS MULTIPLIED BY 10 Great news for you! Your shields are going to be MULTIPLIED BY 10! Some costs will be multiplied too, but many others will keep their current value in order to allow you to SPEND LESS SHIELDS THAN BEFORE! We've also added the "LIVE" tag to inform you when a Daily Sprint is in progress and the Customer Service is closer at hand in order to let you play without carefree. Keep enjoying the Fantasy Manager with this New Version! Download it now!